Apart from your monthly income a lot of factors affect your home loan eligibility. Banks and NBFC consider a lot of aspects before giving you a sanction letter for your home loan application in India. With banks and Non Banking Financial Companies making conscious efforts to rope in a wide and diversified customer base and not just focus on the salaried segment; there is a spurt in home loan applications. However the Factors affecting home loans in India need to be understood and kept in mind before making any applications. There an old adage that goes… ‘To get a loan you need to prove you do not need it in the first place…’ This is true to an extent as the first thing the bank checks is not whether you need a loan, but whether you can repay it regularly over a long period of time. This is judged by your monthly income. The first step is your monthly net salary and your tentative eligibility will be based on this. They usually consider a loan for which EMI would not exceed 40-45% of monthly income. However, mere salary may not be the only factor as they may even consider regular bonuses, incentives etc. or any other source of income you may have which has been stable over a period of time, and raise your loan amount. The younger you are the more secure banks and NBFC feels to grant you a loan. Usually they need you to have at least 10-15 years on your side, before your retirement approaches. Age will also play an important role while deciding the tenure of a loan and it will directly co-relate to your eligibility amount. For example, if your monthly income is 40,000; your loan eligibility for a 20 year tenure based on 10.50% ROI could be 18,00,000. Now if you have just 15 years left for retirement, this tenure will come down to 12-15 years, and based on the same ROI and income your eligibility will now be 14,60,000 for a period of 12 years. Once your eligibility is determined based on your income, further scrutiny of your bank statements and savings account will reveal your monthly expenses and any other outflow towards any loans or other regular outflows. Usually expenses and other loan payments or outflows should not be over 55-60% of your monthly income. If this is higher, your loan eligibility will go down. Bank and NBFC will also assess the number of dependants you have. This is because people dependant on you, like your retired parents, spouse, children etc. will mean some sort of outflow from your earnings toward them. They will consider it while deciding your home loan eligibility. You may however prove that they have their own investments and earn interest income from that, as a result your financial burden is reduced. For this the banks may demand to see the investment instrument for verification. Your educational qualification decides the chances of longevity in your career or the prospects of higher positions and promotion; thus higher income in the future. 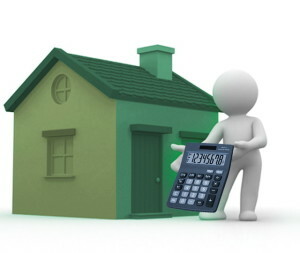 This will ensure the bank that you will be able to comfortably repay your home loan. If you are from an unconventional field like media or art, your professional qualification of skill set will be a factor in deciding your eligibility for home loan. If you are from the field that follows a proper corporate structure or banks, finance or private limited companies your loan eligibility will be higher than that of people coming from field of media, those working in proprietor ship firms, production houses etc, even though both have the same income. Also if you are self employed or salaried professional, expect to get a lower home loan amount, as banks like to play safe in such cases. However if this self employed or salaried professional is a Doctor, Lawyer, CA, Architect etc, banks will be more than willing to grant equal or higher loan and also the sanction will be quicker as Banks or NBFCs argue that in such cases the declared income is always lesser than the actual income thus their repayment capacity is higher. If you have been a job hopper, banks feel insecure to grant you a higher loan amount as they feel in case of layoffs, you being a newer employee you would go first. The other thing is that you tend to not stick around in the same company and they would want to know the reason. They feel that since you lack longevity in your current job, your increments and promotions will be affected due to this. If you have been with the same company for over 2-3 years they may grant higher loan amount. Who are the Joint Applicants? While banks will insist on a co-applicant to make sure that you are not the only one sharing the burden of the EMI alone, they are touchy on whom you choose as your co-applicant. They are happy with spouses or parents being a co-applicant but not so much if you plan to buy the property with your siblings or relatives like uncles or aunts. This is because chances of property related disputes will be less likely in case of father/mother-son/daughter co-applicants and higher in case of siblings and uncles and aunts. Hence this will factor in your home loan eligibility criteria. They may also ask for consent letter from the parent who is not a co-applicant with you. Example, if your father is a co-applicant, you mother needs to give a no-objection letter and if you have any siblings even they need to do the same mentioning they have no-objection with you and your father applying for loan and mortgaging the future property. This is perhaps the most important as banks will check your credit ratings on CIBIL and asses your repayment habits. A bad credit score and you can kiss your home loan goodbye. If you have never taken a loan before or defaulted on any credit your chances are pretty good, however make sure to check the CIBIL website to check for any mistakes that may affect your credit score, as let’s face it, to err is human. Be safe than sorry, check the CIBIL before applying for home loan. Though the above home loan eligibility criteria affects one’s loan taking capacity, there are always ways to sort out issues with the banks as banks also realize there could be more to it than what mere documents show. Talk to them and let them evaluate your case and if they still feel you cannot get X amount, you will have to settle for the next best amount or you can add a co-applicant or increase the tenure. Further you can even check the things to remember before applying for a home loan and then can proceed for a detailed guide to home loans in India for better understanding the home loan procedures. Good to know your loan was approved!